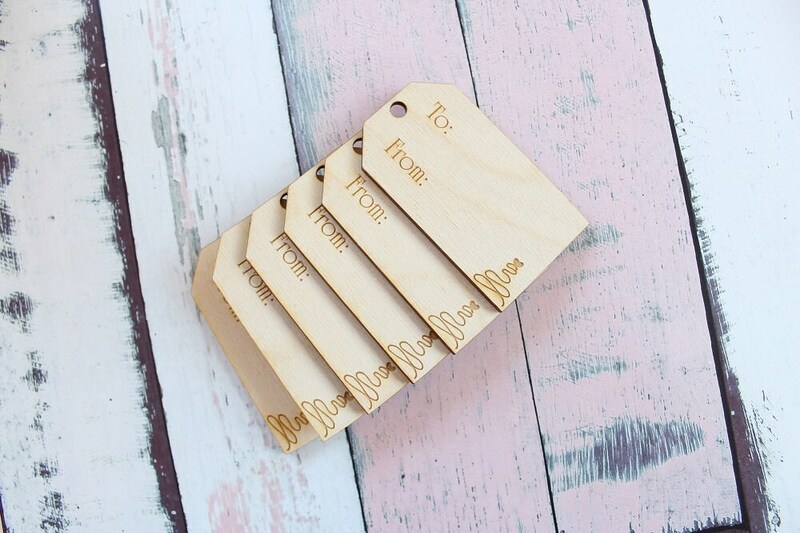 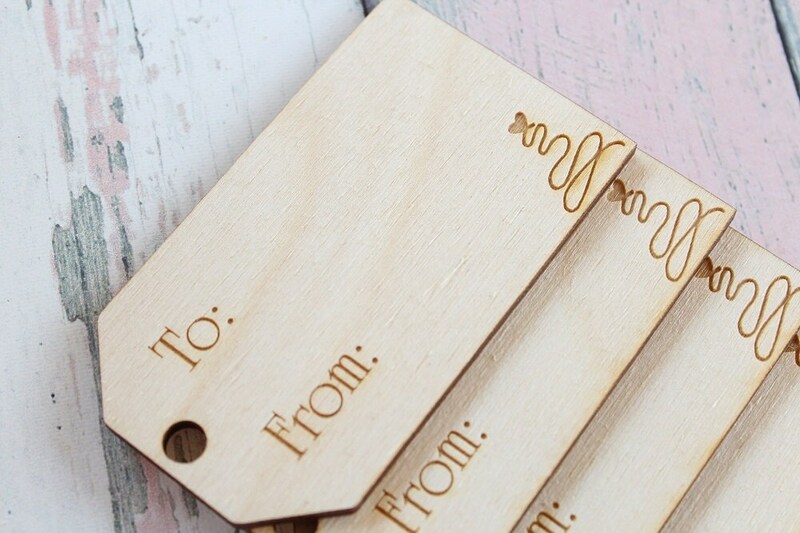 Rustic Chic Holiday wood laser cut and engraved gift tag set. 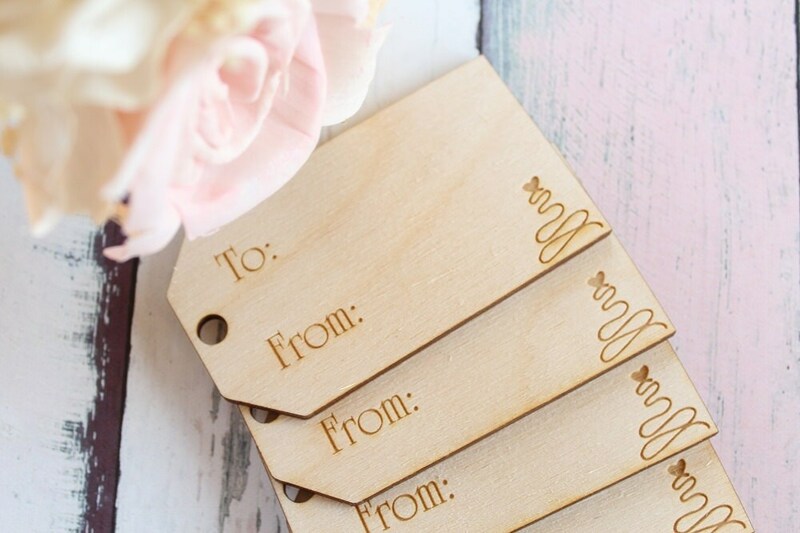 Sold in sets of (6). 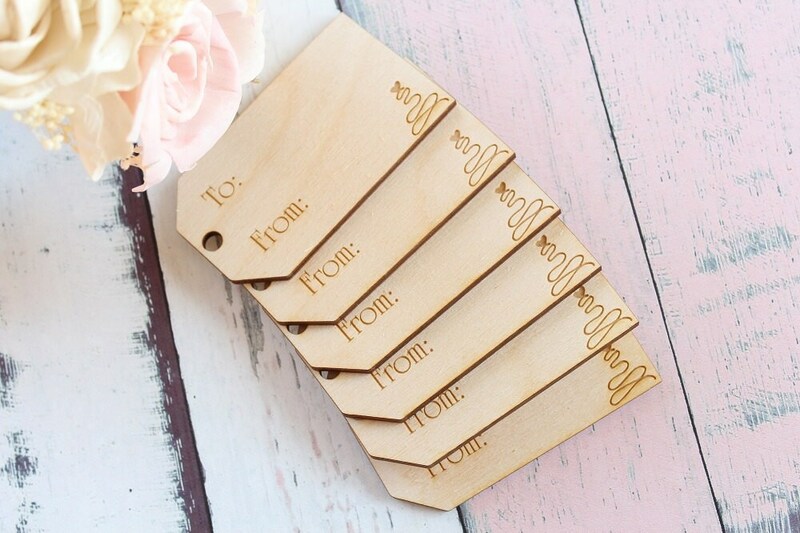 Tags measure: 3.5" long x 2" wide x 1/8" thick unfinished wood.